a rerouting of the geodesic. A recent post contained a talk of mine of a specific construction of observables in general relativity, where a physical coordinate system was specified by the endpoints of certain geodesics. The so constructed coordinates are simply Gaußian normal coordinates and the usual relational construction of observables as fields at a physical point could proceed in the standard manner. The motivation for the underlying paper came from AdS/CFT, where people were interested in constructing CFT operators corresponding to scalar fields in the bulk, localised at the endpoint of a geodesic. While the scalar fields were argued to commute in this construction, a contradictory statement was recently made in a perturbative calculation. To settle this question, we upgraded a calculation referring to spatial geodesics, based on this seminal work, to the case of spacetime geodesics considered in the AdS/CFT case. 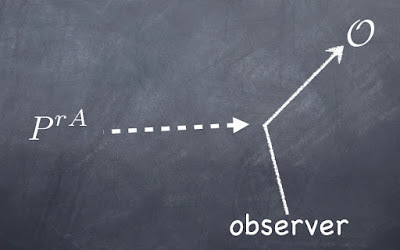 The calculation which we performed illustrates nicely some points about the properties of observables which are often not spelled out, however seem of relevance for researchers interested in quantum gravity and should not be confused. In this post, we will gloss over global problems in defining observables, see e.g. this paper and references therein for a recent interesting discussion. 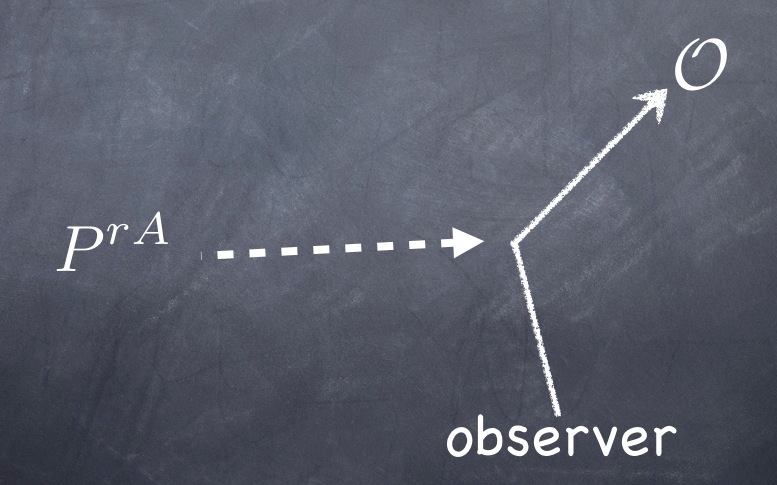 See also this post for an earlier discussion of observables and the control we have on them. When we quantise, we always pick some preferred subalgebra of phase space functions that we want to quantise. It is well known that we cannot quantise all functions at the same time, as formalised in the Groenewold-van Hove theorem. Therefore, also in canonical quantum gravity such a choice has to be made, independently of whether we first quantise or first solve the constraints. We are interested here in the latter case, i.e. in the quantisation of a complete (= point separating on the reduced phase space) set of Dirac observables, or equivalently a complete set of phase space functions after gauge fixing the Hamiltonian and spatial diffeomorphism constraints, although similar statements should in principle also hold in the former case. Roughly, the following happens. If we localise some field with respect to some locally defined structure, such as the values that four scalar fields take at a point, then the algebra remains local, where local means that Poisson brackets will be proportional to a delta-distribution in the coordinates defined by the scalar field coordinates. Another such example is to use dust. We can however also localise some field with respect to a more global structure, such as the endpoint of a spatial geodesic originating from some observer or the boundary of the spatial slice. Then, phase space functions with a non-vanishing Poisson bracket with components of the metric specifying this geodesic will have non-local (in the coordinates specified by the geodesics) Poisson brackets with fields localised at the endpoints of geodesics, just because they change the geodesic which defines the point where the field is evaluated. However, it is still possible to pick a complete set of such observables which have local Poisson brackets among themselves if we pay attention not to include fields not commuting with the components of the metric determining the path of the geodesics. This is in fact what is happening here. For the last case, we simply locate our fields with respect to some extended structure that is specified using non-commuting phase space functions, e.g. a spacetime geodesic. This doesn’t mean that locality breaks down, it simply means that we are considering observables which are smeared over regions of spacetime, and two such regions associated to different localisation points might overlap. Another question is whether the physical Hamiltonian that one derives with respect to a certain choice of time will be non-local. Again, in the case of dust as a reference field, it is local. However, already in the second case above one finds that is non-local, simply because it contains the phase space functions which have non-local Poisson brackets. Since a generic Hamiltonian will contain all fields of the theory, it seems that one has to avoid relational observables with respect to non-local structures if one wants to obtain a local Hamiltonian. However, it should be stressed again that one still might have a complete local observable algebra, even though the Hamiltonian is non-local. A detailed example is given here. All arguments made above are independent of the structure of the spacetime at infinity. In particular, the math involved in constructing observables and computing their algebra, see e.g. here, here, and here, does not refer to infinity. Also, the fact that the on-shell Hamiltonian constraint is a boundary term is not of relevance here, as it generates evolution via its Hamiltonian vector field, which is non-vanishing on-shell. Once a clock field is chosen on the other hand, one obtains a physical Hamiltonian with respect to that clock which is non-vanishing on-shell. Therefore, as long as one can locally define a clock, one can also have evolution. With regard to "global problems in defining observables", I noticed that the publication "Chaos, Dirac observables and constraint optimization" has no references to the work of Milgrom, McGaugh, Kroupa, or Pawlowski. I say that Milgrom is the Kepler of contemporary cosmology and that foundational investigations related to general relativity should take into account Milgrom's ideas. How does loop quantum cosmology work?